Thirty years on from a famine that claimed more than a million lives, Ethiopia is making great strides towards food security. And though progress across the continent is uneven, many other African nations are adopting policies that see agricultural development as a priority, to protect smallholder farmers and other rural households from the threats of volatile food prices, conflict and climate change. 'Resilience' is a term used in development discourse for the ability of poor communities to bounce back from shocks and stresses. Building resilience means helping these communities, as well as countries and global institutions, to prevent, anticipate and cope with such shocks. In the end, it means not just supporting recovery from crises but getting to the point where people are even better off than they were before the shocks occurred. In our view, there are six critical aspects of agricultural policy reform that hold important lessons to guide investment in building resilient rural communities. The first lesson is the need to invest in early warning systems, which help countries avoid overreliance on emergency relief when crises hit. When rains fail – as they did in 2011, leaving the Horn of Africa under threat of another famine – Ethiopia had an early warning system in place. The system not only tracked problems on the food supply side, such as rainfall and crop yields, but also monitored household nutrition levels. As a result, the country was better equipped to deliver food assistance to those who needed it most urgently. The second policy choice is to invest in effective social safety nets. 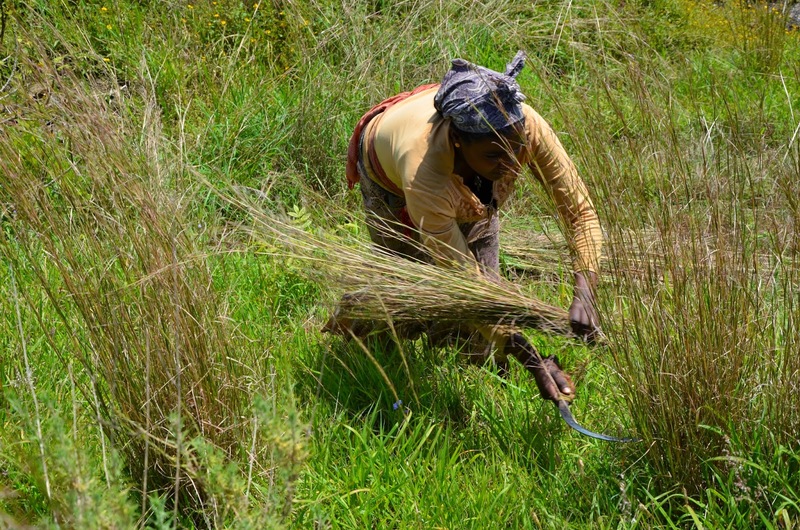 Since 2005, Ethiopia has managed the Productive Safety Net Programme, which gives poor rural people food assistance in return for their participation in projects that develop community infrastructure, like building health-care centres and restoring degraded watersheds. The safety net has operated in tandem with other food security initiatives offering assistance to community members who are unable to participate in public works, such as the elderly. Around half a million households registered with the programme between 2008 and 2012. Such schemes can help vulnerable communities become self-sufficient and build resilience against future food crises. Third, it is vital for African countries to invest in agricultural research and development. In the 1960s and 1970s, Africa was a net exporter of food. Today, it is far more reliant on food aid. What changed? For one thing, many African governments slashed budgets for agricultural R&D. By contrast, other countries have upped theirs and seen significant agricultural growth and rural poverty reduction. For instance, Ghana, the only African nation that has yet achieved the first Millennium Development Goal of halving hunger, did so at least partly by doubling its agricultural R&D budget. To be effective, research on new crop and livestock varieties should go beyond just increasing yields. R&D should also help to build plant and animal tolerance against drought, heat and diseases, and to enhance nutrition. A fourth key area for investment entails building robust markets that focus on both production and distribution. In Ethiopia, this has meant the establishment of the Ethiopia Commodity Exchange, which provides market information to over 250,000 people via SMS text messages. Similarly, Tanzania recruits 'market spies' to send current prices to remote farmers by SMS. Disseminating this information helps small farmers get fair market value for their produce. In other cases, building robust markets may mean literally building market infrastructure. In Madagascar, for example, some communities now have concrete-fortified markets that, when storms and flooding hit, can be back up and running within days. A fifth essential element for greater resilience in Africa is cross-country collaboration. Once an innovation has been proven, it must be shared across the continent for maximum impact. For instance, when a group of farmers from Niger saw improved traditional planting pits in Burkina Faso, they were deeply impressed by the pits' capacity to combat water run-off and gully erosion. When they got home, some of the farmers decided to create their own planting pits. Yields increased and barren land was rehabilitated. The technique is now also being used in Cape Verde. Finally, facilitating market links across the African continent will be critical to build resilience by boosting regional, continental and, ultimately, global trade. To this end, the African Union has renewed its commitment to build inter-country trade through the Programme for Infrastructure Development in Africa. The programme provides road and transport links for land-locked countries, thereby unlocking Africa's currently untapped markets. These are just some of the lessons that have been learned. But lessons not only have to be learned; they must also be applied in order to drive the kind of inclusive growth that can end hunger and poverty across Africa. It is up to individual African countries to take note of the agricultural policies and investments that have yielded the best results. By helping them to do so and supporting them with the right investments, we can safeguard the continent from future food disasters.